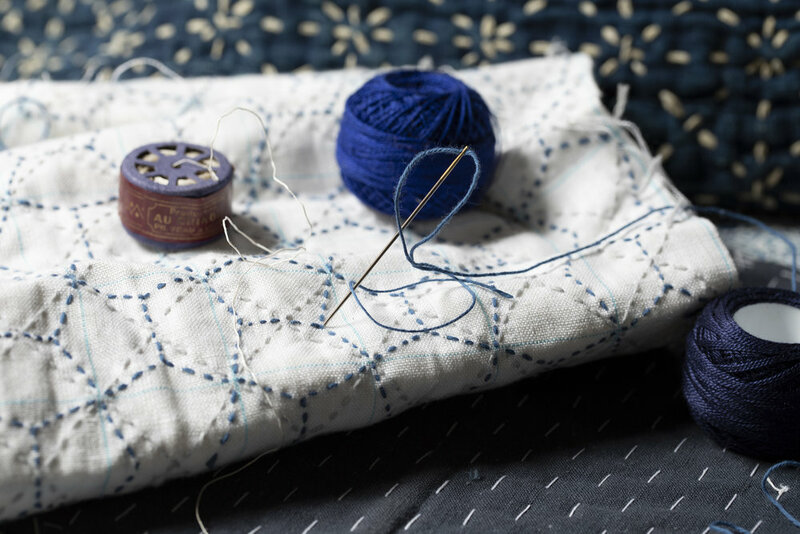 "Sashiko (刺し子, literally "little stabs" or "little pierce") is a form of decorative reinforcement stitching (or functional embroidery) from Japan that started out of practical need during the Edo era (1615-1868)." "In the hands of Awaji needlewomen, sashiko stitching blossomed from a purely utilitarian technique into a rich decorative expression. 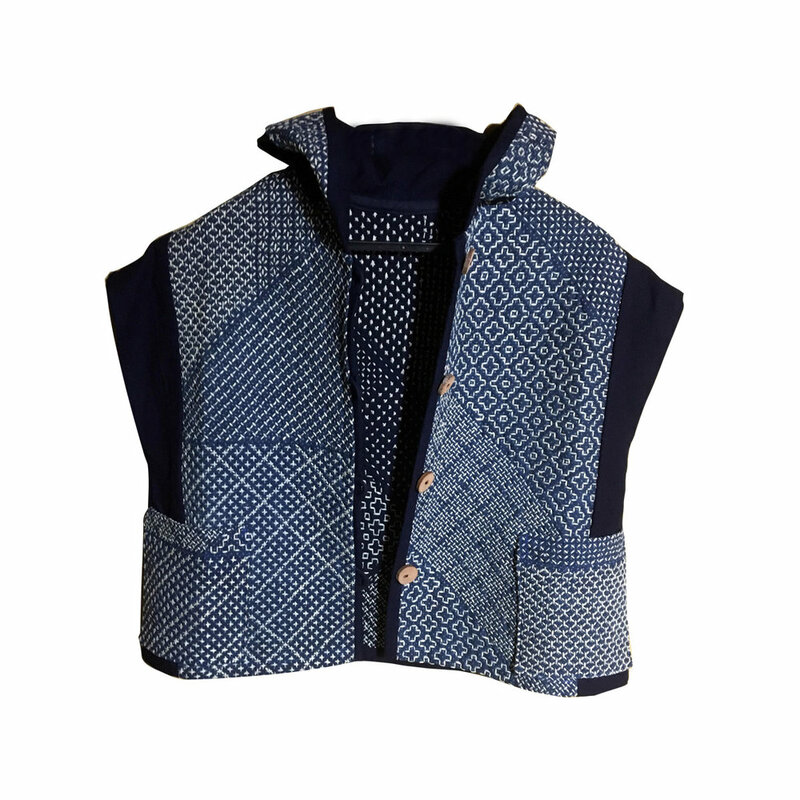 Women drew their inspiration for common sashiko patterns from the surrounding world. Variations of a pattern that resembles a fishing net are particularly popular on Awaji sashiko no donza [coats of local fisherman]. Other patterns are found on sashiko-stitched textiles throughout Japan, sharing names such as persimmon flower (kaki no hana) or pine bark (matsukawabishi)." Stitchers will learn the history behind classical motifs, and to hold the needle to create the running stitch in the traditional way. This will help stitchers to care for their bodies and expedite their stitching. Together we will stitch a beautiful sashiko pattern to be enjoyed for generations to come. This stitched piece can be turned into a decorative object, bag or garment. Stitchers will also have the opportunity to view and touch many antique fragments and garments filled with sashiko stitching. What to bring: All materials are provided in this course. Students will have the opportunity to purchase additional sashiko supplies on site.